Under the hood of the 2017 Toyota 86 is a 2.0-liter flat-four engine that churns out 202 horsepower and 156 lb-ft of torque when equipped with a manual transmission. Thanks to its horizontally opposed pistons and compact size, this engine offers optimal performance, which makes the Toyota 86 one of the most track-ready vehicles in the market. A new rear differential improves this sport car’s low-end acceleration, helping keep it in its performance “sweet spot” even on corners. This vehicle might be made for the streets, but it would be just as at home on the track. With a long, sleek hood and short rear end, the Toyota 86 looks like the quintessential sports car. Its sweeping lines, restyled rear diffuser, and LED lighting adds a twist to this classic look, bringing it into the modern era. A sculpted body and low stance give the 86 a drag coefficient of just .27 Cd, which is a top number in its segment. It even has a chrome-tipped dual exhaust, which enhances its performance-oriented styling. There’s no doubt that the Toyota 86 is ready for the track with its revised exterior style. Just because you want a vehicle that has top-notch performance, doesn’t mean you have to sacrifice an interior with style. 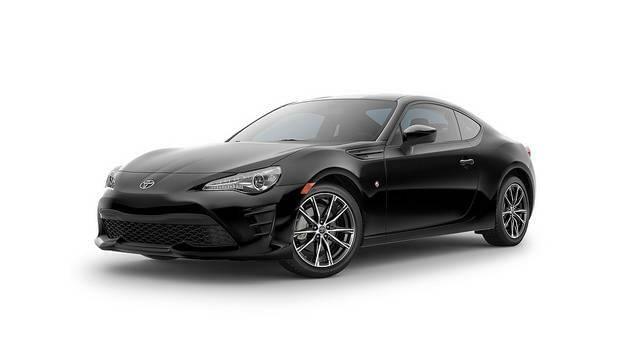 The 86 comes with a driver-oriented interior that doesn’t come up short on luxury. Granlux trim covers the door panels, upper-seat bolsters, and dashboard. An embossed “86” logo adds an extra touch of style to the dashboard design, while the sport seats highlight its comfort and support with silver-like stitching. It even has a 60/40-split folding rear seat, which means the 2017 Toyota 86 can also be quite practical, too. Who knew a driver-oriented interior could look this good?